What is The Shepherd’s Center of Richmond? The Shepherd’s Center of Richmond (TSCOR) is not a place or a building. It is older individuals who participate in programs of mutual interest and help their neighbors through volunteer service. TSCOR is a non-profit, service and education organization founded by Bob Seiler in March of 1984 and is a successful and inspiring model of just how resourceful a group of men and women can be in making Richmond a more caring community for older people. For 35 years, we have been a vital and successful organization that works in the Richmond community. As the Baby Boomers grow into retirement, the numbers of people wanting meaningful service opportunities, as well as those needing help themselves, will continue to grow. The Center is not an agency. It receives no government or United Way funding. It is a group of caring people who have developed a neighbor-helping-neighbor approach in solving many of the issues of growing older – lack of transportation, isolation, loneliness, and the desire to “give back” in order to find meaning and purpose. Open University (OU) and Lunch and Life (LAL), offer lifelong learning opportunities for intellectual challenge and social interaction. Classes and lectures are held at three area locations (churches partner with TSCOR and provide classroom space). Programs at each location differ. Courses offered include foreign languages, literature, history, political science, art, music, architecture, philosophy, science, writing, estate planning, genealogy and movement classes. Each session averages 400 total registrants, and more than 70 people give their time and expertise as teachers, hospitality team members, and organizers to make it all happen. Our Education Committee plans and carries out the myriad of details to create each session. Eight-week sessions, in the fall, winter, and spring, include well-qualified instructors, many of whom are both active and retired faculty members of area universities. All instructors are volunteers. TSCOR is one of the best bargains when it comes to lifelong learning in our area. Pre-registration is not required. You can pay tuition on the first day of classes. And we do not register for individual courses; you may attend as many courses as you like, at either location. Please click here to see the complete course schedule. The Center offers an exciting array of travel opportunities each year, from local one day tours to several day excursions. Click the travel tab at the top of the page to see upcoming trips. The Women’s Group meets the second Thursday of the month, with outings in between, and the Men’s Group meets the second Tuesday of the month. Both groups are informal and the members mutually decide on the topics covered. The Shepherd’s Center volunteer drivers provide transportation to medical appointments and to grocery stores to those over 60 in our community who, for numerous reasons, are unable to drive themselves. Transportation has been recognized as one of the most important and under-addressed needs for older adults and the demand will only increase as Baby Boomers continue turning 65 in record numbers. Keeping our older adults and seniors healthy and well fed is essential and is at the core of our mission. Each year, the Center’s volunteers provide more than 1,500 round-trip rides. Volunteer drivers are always needed and it’s an easy way to give back. And now it is even easier. We have a web-based program where volunteer drivers can go online and select assignments that fit into their schedule themselves. Light handy-help is also available. There are no fees for services and membership is not required. We do gladly accept donations! The Shepherd’s Center is exceptional in its capacity to engage volunteers. The Richmond center employs only two full-time and two part-time people. Volunteers carry out all other work, giving more than 10,000 hours of service annually. This work ranges from teaching to providing client services to organizational planning, committee work, and board leadership. The Shepherd’s Center’s programs and services are carried out by volunteers – people like you! We need your help to get seniors in Richmond to medical appointments and to grocery stores. We need your teaching and hospitality talents. We need your expertise on our Board and its many committees & teams. Please take a look at our list of volunteer opportunities and see how you can become involved. Becoming a member is easy. Membership is renewed in July, when we begin our new fiscal year. Being a member gives you discounts on Open University tuition and trip prices, as well as an open invitation all year-long to join us at the Open University at lunchtime to hear speakers free of tuition costs. But most important, your membership makes you a part of this caring and vital group of people who do so much to improve the lives of seniors in Richmond. Click here to find out more. The Center fulfills its mission with donations from area congregations, businesses, foundations, but most importantly, from individuals who want to help make Richmond a kinder community for older adults. 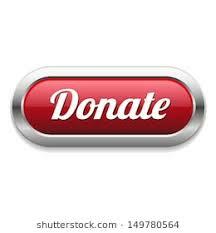 We receive no government funding and your gift is tax-deductible.